At the Central Connecticut Chambers of Commerce, we recognize the importance of raising awareness about your business. But how do you get your message out to a large number of people at a low cost? We are here to help! We have advertising packages available for every budget. Whether you are looking for a quick announcement in our weekly events and announcements email or an entire marketing plan, we will work with you to come up with the best options for you and your business. 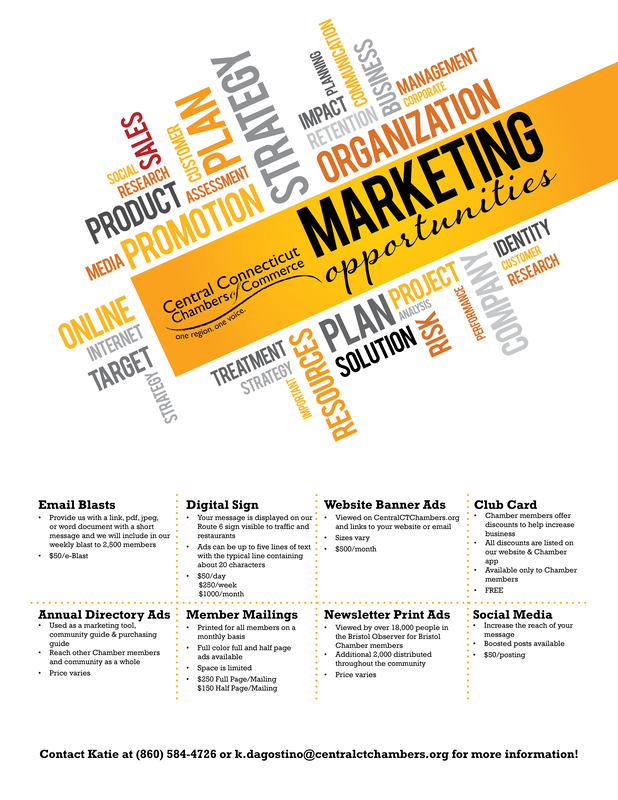 Contact Katie today to learn more about marketing to fellow chamber members and the Central Connecticut community.